The largest financial and industrial group of Ukraine – System Capital Management (SCM, Donetsk) – has finalized a deal on the sale of a 100% stake in Ukrainian Pharmacy Holding, which unites the Zdravitsa and Dobri Liky chains, the Central Pharmacy and the A'STA regional wholesale pharmaceutical company, reads a posting on the Web site of the group. The parties are not disclosing the value and other details of the deal. Earlier, SCM's public relations and communications director, Natalia Yemchenko, wrote on her Facebook page that the SCM Group plans to sell Ukrainian Pharmacy Holding. Yemchenko also said that the deal has not been finalized and SCM is not commenting on the details. She said that SCM is "satisfied with the project and the conditions of the future deal." Ukrainian Pharmacy Holding saw its net profit halve in 2012, to $0.22 million. The revenues of Ukrainian Pharmacy Holding last year grew by 72%, to $91 million, its EBITDA fell by 76%, to $480,000, and its assets rose by 29%, to $27 million. In 2012, the consolidated revenues of the companies of Ukrainian Pharmacy Holding were up by 50.2%, to UAH 826 million, including UAH 668.3 million in revenues from retail sales and UAH 157.7 million in revenues from wholesale. Ukrainian Pharmacy Holding has a chain of over 170 pharmacies and is developing a small-scale wholesale business (A'STA company). SCM Group is a professional investor and managing company of the biggest Ukrainian financial and industrial group, which focuses on three business areas: mining and metals, power generation, and distribution and finance. The company also operates in other sectors, including telecommunications, media, real estate, retail, clay production, petroleum products trade, agriculture, the pharmaceuticals trade, heavy engineering and transportation. 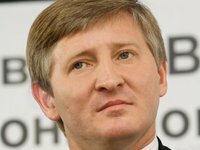 SCM is 100% owned by businessman Rinat Akhmetov.